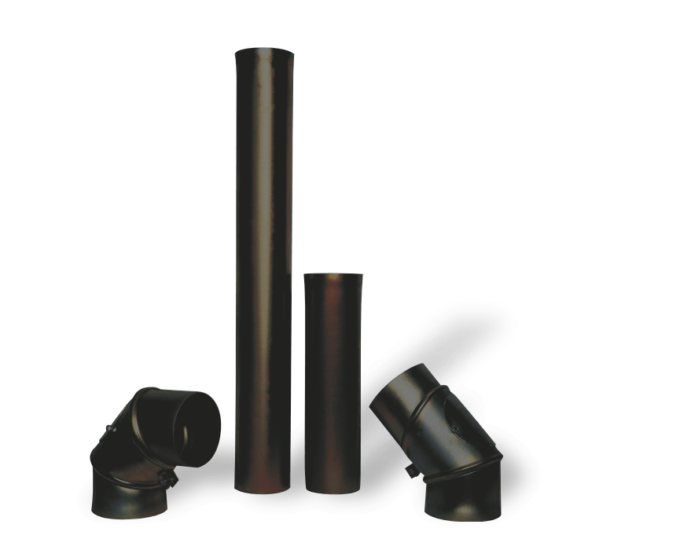 Flue gas tubes and elbows are engineered for quick and easy connection of all kinds of boilers to the chimney. Made of 2mm steel sheets (RSt 37-2). Surfaces protected by plastic coating. 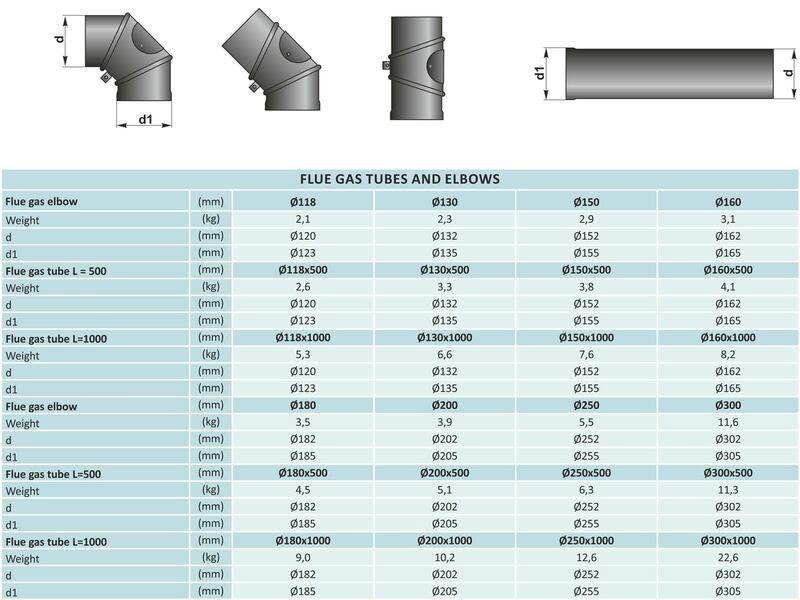 Flue gas tubes and elbows have a 40 mm stretched end, for easier assembly to the following tubes. Elbows are made of three pieces. Angularity from 0° to 90° with a built-in opening for cleaning. Flue pipes and elbows are delivered without thermal insulation so it is necessary to subsequently insulate them.